I have an external tube to check the fuel level (see pix). It's sometimes hard to see the fuel in the tube. I thought of adding a small ball float in the tube for visibility. I know J3's use a cork on the bottom of a wire for fuel level. Don't know if it is coated or sealed with anything? Any ideas from the group on what to use? Obviously must be compatible with fuel. end not dissolve in fuel — test it first! block fuel flow (if it escaped the tube). This guy has an interesting idea - the pattern behind the tubing changes shape depending on whether there is fuel in front of it. polyurethane's chemical resistance, benzine isn't one of them. Richard, The Piper fuel ball looks perfect! I'll order one. Thanks! background. Been working good for me since day one. My sight gauge uses clear Tygon. Working fine since 1992. Order two for a pair of balls. Wasn't aware that the tygon came in clear. The only one I could find was yellow from McMaster-Carr. I'll see if I can find the clear version. BTW, can't afford two balls, at my age one will be enough! The only Tygon that I can find that is recommended for gas is the yellow version. Do you change your gas gage line every few years or so? Do you know what type of Tygon you use? The clear food grade should be fine. It is PVC. Amazon is a wonderful thing. If you don't believe me, ask Larry Cottrell. It's been so long I don't remember what I made the float out of. I don't think it was cork, maybe I carved it out of wood or found a plastic ball used a permanent marker to make it more visible. I do remember building a restriction that I fit inside the line that keep the float from sloshing out of the sight tube. Did this by cutting 2 sections of fuel tube 3/16 or so long pinched it and using a wire slid them down the sight tube to match the top and bottom of the fuel tank with the ball in-between. 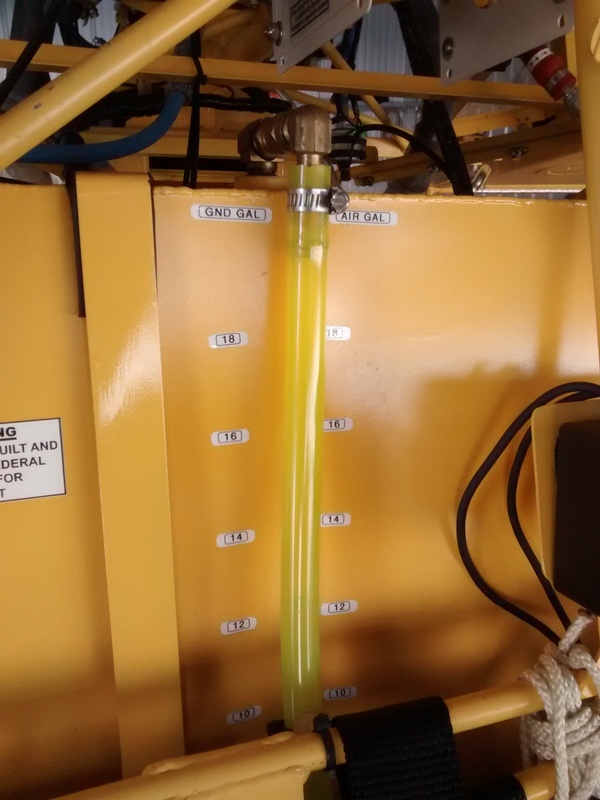 The fuel could get past the restriction to float the ball, and at the same time keep the ball out of the pumps and carbs where it could cause trouble. Russ, used to use shellac but modern fuel additives in car gas might affect it like they did the old sloshing compound. > I have an external tube to check the fuel level (see pix). It's sometimes hard to see the fuel in the tube. I thought of adding a small ball float in the tube for visibility. I know J3's use a cork on the bottom of a wire for fuel level. Don't know if it is coated or sealed with anything? Any ideas from the group on what to use? Obviously must be compatible with fuel.